Well after last weeks faus pas, I thought I'd better make sure I was on time this week! My F this week has 5 Fs. 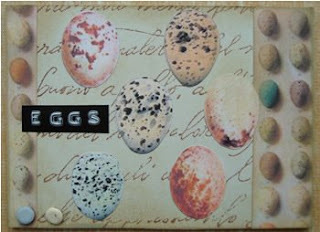 It is a Fat book page, with Filligree background, Feather, Foiling and Flowers. (In case it doesn't show up too well, it is the flowers that have been foiled!) This week Fifi has made a beautiful skinny with fish and feathers. This fabulous skinny has 4 Moos attached to it to form the panels. 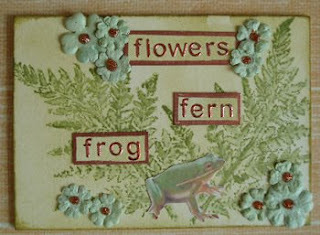 And Lesley is continuing her beautiful set of nature themed ATCs, with this fabulous multiple F. Frog, Fern and Flowers, the collection is going to look brilliant! 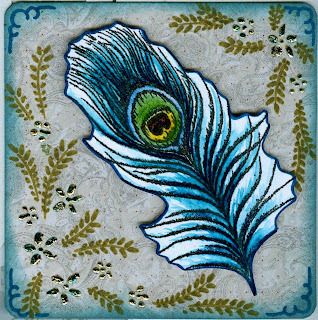 Hope you all have fun joining inthis week, I look forward to seeing your creations. 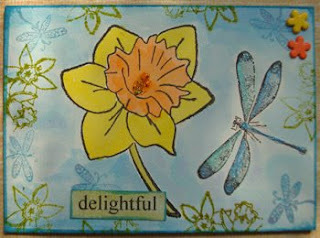 This week, Lesley's nature ATC features, a Delightful Daffodil and Dragonfly. And Fifi's sample is a lovely card, (I think! ), featuring a Daisy, Diamonds and Dots! Hi all, Friday again, (or soon will be! 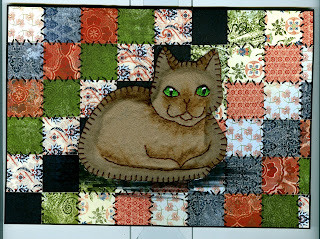 LOL) This week I have made a double again, a Card featuring a Cat. The cat is actually made out of felt, with embroidered detail. The patchwork background is simply made by cutting squares from patterned paper, which have been stuck to the card blank................the stitch detail was added with pen afterwards. 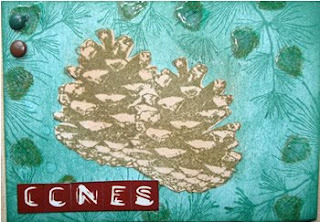 And Lesley is continuing her Nature themed ATCs, with one featuring Cones. 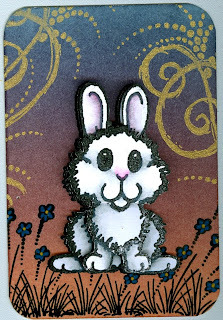 Hello again everybody, well, we are onto week 2, which is obviously B. I have made a Brayered Bunny ATC, (two B's again there!) 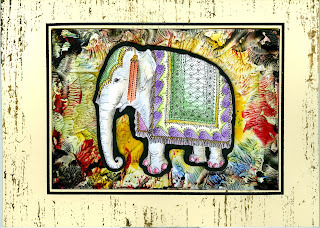 I have used all my own design stamps, (which can be found by clicking on the sunflower) The background has been brayered, and the bunny has been decoupaged. Fifi has made a lovely tag, with several B's also, Butterfly, Bee and ..............B ! And there is also a Bindi in there! 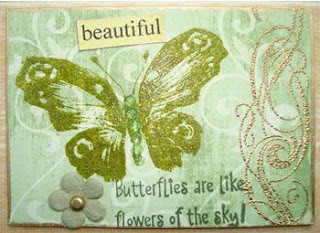 And from Lesley there is another beautiful nature ATC, featuring a Beautiful Butterfly.